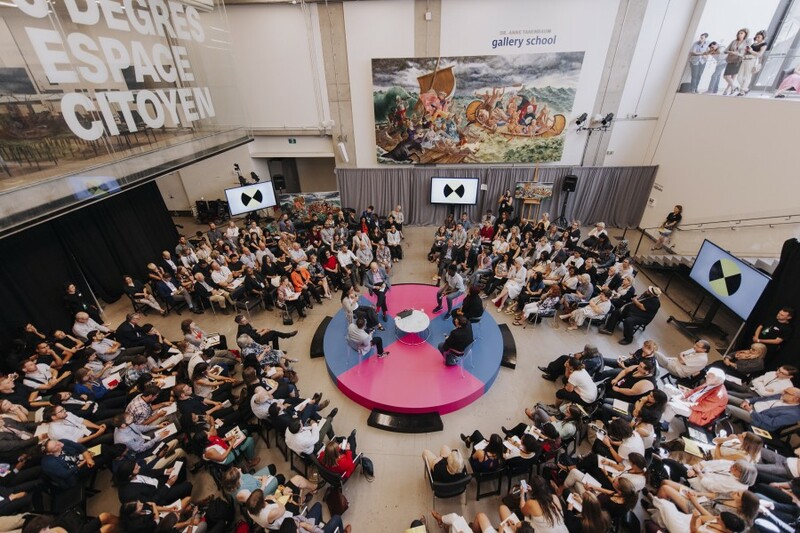 These are our key takeaways from 2017’s events, including 6 Degrees Den Haag, 6 Degrees Vancouver and 6 Degrees Citizen Space. We’ll be taking these messages with us into 2018’s programming, research and themes. We’re all responsible for the project of reconciliation, and everyday actions can be part of the process. There are many opportunities to engage: Honour residential school victims and survivors by attending commemorations, advocate for land acknowledgements, learn words in the language of the people who cared for the land you live on long before your birth. We must all face the demons of our past – be they our own actions or our inherited histories – and learn from them. Understanding cause and effect can inform the changes we need to make, and empower us to act positively and productively. Those with privilege must recognize it and be willing to step down in order to amplify the voices of those with less privilege. Allyship is not a unidirectional helping hand, but a complex project of self-reflection, support and action. Make space and make sure you’re not speaking for others who wish to speak for themselves. Ask questions, have humour, discuss something uncomfortable, and don’t be afraid to disagree. Acknowledging where we lack knowledge and allowing our preconceptions to be challenged is the first step toward growth and greater understanding. Conversely, those with specific experience should be patient with knowledge-seekers. Building a truly inclusive society starts young. Educators and schools can and should play a significant role in equipping society with the right language and context to discuss past injustices and paths forward. For some it’s an uncomfortable truth: white supremacy underlies much disadvantage in the world. Western foreign policies catalyse conflict and are the ultimate cause of the ongoing refugee crisis. Systemic barriers to people of colour perpetuate cycles of poverty and disenfranchisement. We must face these realities and act against them, because in concert, they threaten to leave generations in ruins. The world is changing and our governments, policies, and social structures must change with it. We should resist the urge to say “this is the way it’s always been,” and instead look to evolve our language, thinking, and actions. Diversity, inclusion, and belonging are not just feel-good causes. They’re good business. Newcomers are often more likely to start new businesses and to innovate that those native-born. Population growth, and therefore economic growth, is now the direct result of immigration; more voices at the table mean more ideas, disruption and innovation. We need to bring young people into the circle by listening to them, mentoring them, and hiring them. With an aging population, investment in young people will doubtless pay off.